The study of English is a cornerstone of academic success, life-wide learning, and informed citizenship. 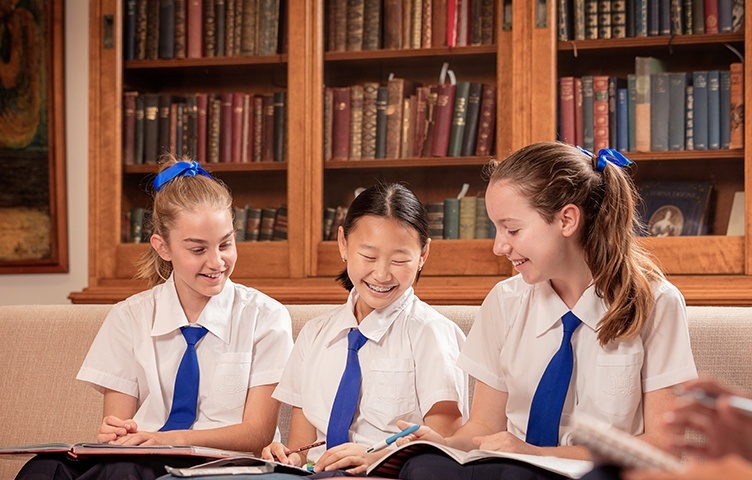 At Girls Grammar we give girls the skills they need to read and listen critically and perceptively, and write and speak with accuracy, fluency and confidence. The English texts we study balance age-appropriateness with a degree of challenge. Whether studying Shakespeare or modern advertising, we want girls to enjoy the texts, to relate to them and also be stretched by them, learning new words, sentences, techniques and concepts. The six-year English course is built around four genres: analysis; persuasion; creation; and reflection. When a text is approached, girls investigate how it sets about achieving its purpose—how it tries to persuade us, for example, evaluating how well it does so. This helps girls to craft text with purpose. Our program develops skills through a carefully sequenced, evolving process. Year 7 girls complete tasks that require analysis. They then add in new analytical skills when they encounter the same genre in Year 8. In Year 9, the analytical task reinforces the skills already developed, and this method continues through to Year 12. The School encourages girls to read or perform their work. Skilled communicators shape what they write or say according to their audience, and as such girls learn the technicalities and nuances of using different styles of English when they speak and write, and to tailor the tone, familiarity or formality to the context. 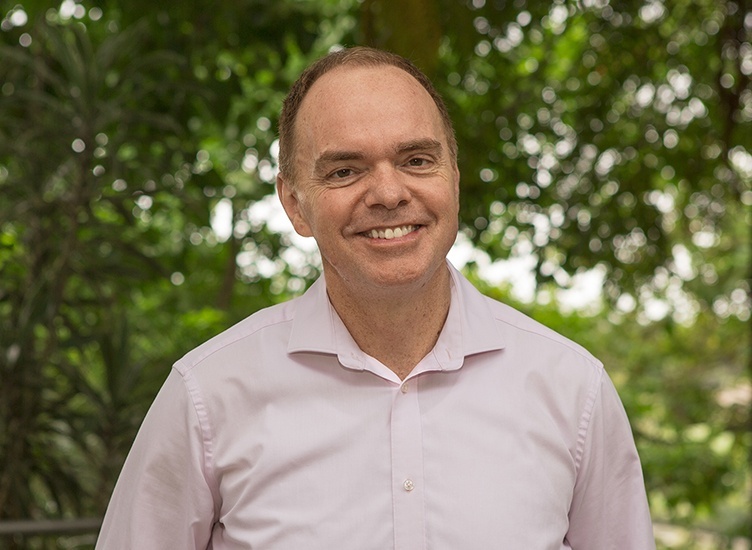 Through this process of incremental consolidation and extension, Year 12 girls emerge from their English studies equipped with skills for success, for fun and for the social good. Literature is a recent and welcome addition to English at Girls Grammar. 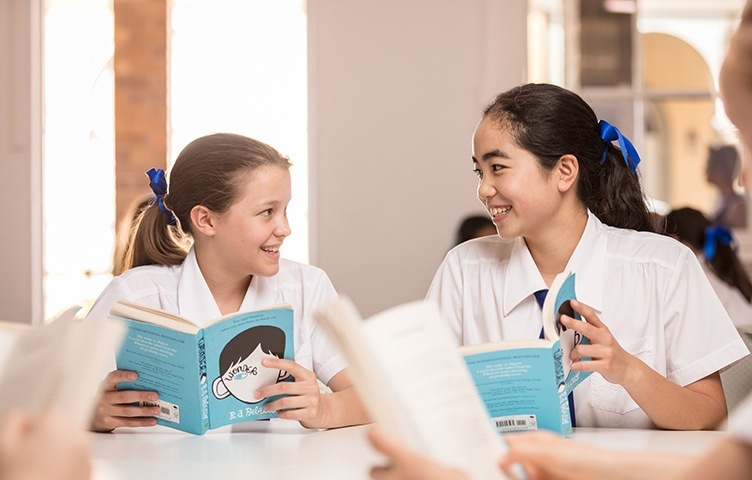 Offered in addition to compulsory English, Literature can be studied from Year 10 onward, and caters specifically to girls with a love of reading and writing. Each year, girls complete two analytical and two creative tasks, exploring their own and others’ creativity, and developing their analytical faculties in much greater depth. Girls interested in creative and emerging technologies also have the chance to combine older texts with new ideas and media. By reading and writing creatively, Literature students understand, empathise, and engage with new cultures and ideas through literary texts. This helps to prepare them to enter the world beyond school as informed and competent thinkers. As Literature also involves considering what others have said about literary texts, girls participate in critical conversations that have been going on for years, decades or even centuries.